This beautiful house in Cape Town, South Africa, is only 125 square feet but it is big enough for the owners and their two cats. For them it is the perfect hide away from their busy schedule. The house is spread over two floors. Upstairs is a loft bedroom that leads onto a small terrace overlooking the garden, while the guest bedroom downstairs is tucked away under the staircase, along with the bathroom. 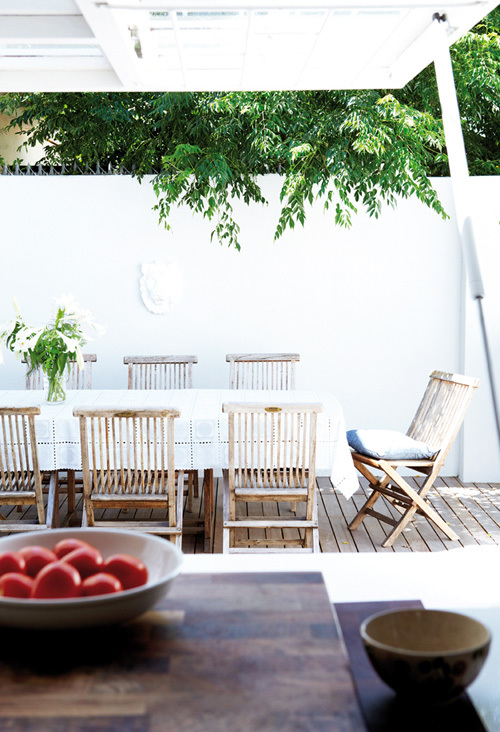 The outdoor area is great for entertaining and for enjoying a sundowner. The open plan living room, dining area and kitchen are situated around the garden in a lovely L-shape. The house is fitted with designer pieces but also custom made furniture created by a carpenter. Who’s the designer for those chairs? Have seen them before but can’t seem to recall it. Anyone knows? It says … some furniture is custom made by a carpenter, so maybe the chairs are made by him? 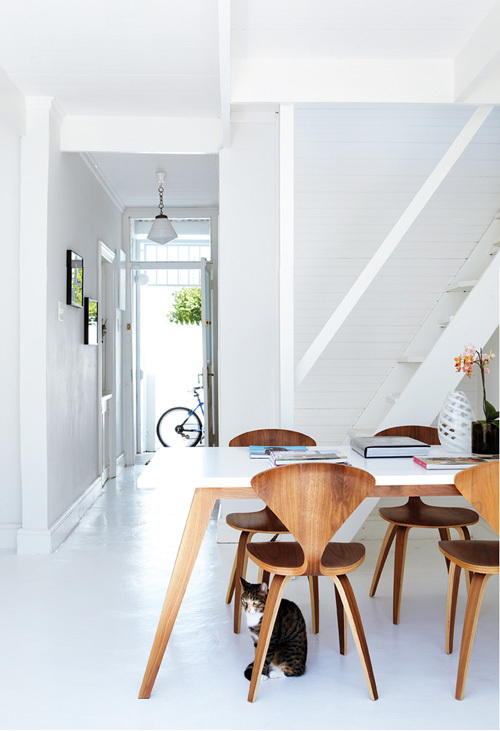 These dinning chairs are beautiful and so is this white house! Um, pretty sure this isn’t 125 sqft. Maybe 1125? Or 125 sqmeters? Even in meters I think that’s a stretch… Beautiful though, for sure. So…white… stunningly white. Must be so hard to keep looking clean! Does someone know the name of the Photograpy’s artist that is in the living wall??? I Love that picture!! I’m digging those photographs above the sofa! It looks like a much bigger space, but very cleverly done if it really is so small! Love the outdoor space. A lovely, bright, airy home. Love the photo wall. Great taste for such a shiny house!! 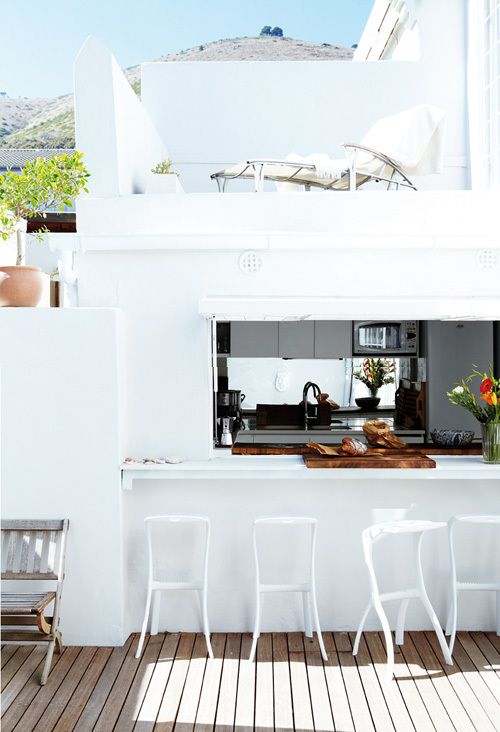 Inspire Home Products Ltd loves the Style Files website, love the images from this small beautiful but versatile home in Cape Town.